A beach resort with apartment rentals perfect for families and athletes, with 3 large pools, running course, tennis courts and small soccer fields. Only 2 km from the Baratti Gulf, it has its own restaurant, minimarket, and bike rentals. Combine the exhilarating experience of Tuscan art, food & wine with the breath taking views of Chianti at this beautifully restored holiday villa for up to 12 persons in luminous spacious accommodations. Located near an active Tuscan town, this Residence is perfect for hiking, biking and exploring the beautiful green Tuscany landscape. Positioned in Maremma, between the sea and the hills of Tuscany, enjoy a tranquil family vacation rental with pool. Stylish self catering apartments surrounded by a gorgeous garden with olive trees and a characteristic outdoor stone pool close to the Etruscan Coast and the thermal park in Venturina Terme, in upper Maremma. Grand Hotel Minerva overlooks Piazza Santa Maria Novella and its beautiful church, right in the center of Florence, just few steps away from the train station and main museums. Nice relais in Val d’Orcia located 20 minutes walking from Montepulciano center. It features a large outdoor pool and outdoor fitness area. Rooms are comfortable and have mini-bar, air-conditioning, work desk and sat TV. Hotel Villa Vedetta is an elegant and luxury villa hotel, located near Piazzale Michelangelo where you can have a breathtaking view of Florence. Hotel de charme in Campo di Marte area in Florence city. Set in a Renaissance villa, it has a nice park, outdoor pool, parking and a delicious restaurant. It includes a spa center and a gym. Luxury rooms and suites are equipped with the best amenities. Set in a fascinating rural setting, this 5 star resort offers comfortable and relaxing rooms. 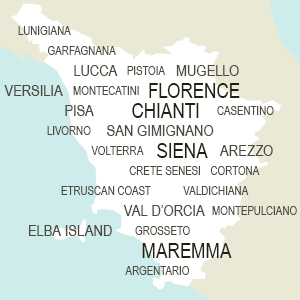 It is located 15 minutes driving from Florence. The 16th-century farmhouse Locanda Le Piazze features lovely gardens overlooking the fabulous Chianti Classico landscape of vineyards & olive groves. Elegant rooms, onsite restaurant & an environment dedicated to adults only. This charming hotel in Fiesole is set in 19th century villa overlooking Florence. It offers elegant rooms equipped with the best modern comforts. This luxury hotel is surrounded by a peaceful park in Forte dei Marmi. It offer elegant rooms e quipped with best comforts and has a relaxing open-air swimming pool. Set in a Florentine villa near Piazzale Michelangelo, it offers a peaceful garden and swimming pool for your stay in Florence. Surrounded by 20 acres of green countryside and vineyards near medieval Monteriggioni, Borgo San Luigi is a charming resort. It offers a vast selection of services and facilities, as well as rooms tastefully furnished with antiques. Set in a former water mill along the Arno River, this nice hotel is located just 10 minutes form Florence center. It offers free parking and Internet Wi-Fi. It also features an outdoor pool and a delicious restaurant. Hotel il Negresco is a 4 stars hotel in Forte dei Marmi that overlooks the seaside and offers quality services and facilities for its guests. Close to A11 exit, Art Hotel Museo in Prato has a large private parking and fully equipped rooms.It offers massages, fitness club and much more. Set in 18th century villa on the hills in Siena, it offers beautiful views over Chianti. Rooms have all comforts. The hotel includes an outdoor pool, a large park, free parking and excellent Tuscan restaurant. Siena is reachable by bus. Borgo San Felice offers a relaxing atmosphere in the heart of Chianti, near Castelnuovo Berardenga. It offers nice rooms, swimming pool and wellness center to get out the most from your vacation in Tuscany. Surrounded by the countryside, this luxury hotel is located few minutes driving from Siena. You can relax in the swimming pool or walking in its large park. Hotel Kraft is located near the Arno river only 15 minutes walking from Ponte Vecchio in a nice and quiet district of Florence city center. It has a panoramic terrace with swimming pool. Contemporary design 3 star hotel in Lucca. Located within walking distance from the center, it has a nice garden and a pleasant outdoor pool. Rooms are modernly furnished and equipped with all comforts. Charming hotel set in a noble villa on the hills of Lucca. It is surrounded by a beautiful park and has an outdoor pool and a panoramic terrace. The restaurant offers typical Tuscan food. Rooms are bright and air-conditioned. Located in a stunning location in the Chianti region, near Radda in Chianti it is an elegant farmhouse. Set in a great estate producing wine and oil it offers elegant rooms furnished with antiques. The restaurant serves local products. Grand Hotel Royal is located in Viareggio in between the sea and the pine woods.It offers modern and equipped rooms, as well as a nice swimming pool. 4 stars hotel located in Viareggio overlooking the sea.It offers business and wellness facilities, as well as elegant rooms. Luxury resort in Pisa offering views over the Leaning Tower. It offers large and elegant rooms and suites with modern comforts, as well as free Internet. The design hotel has a spa with Turkish bath, a fitness center and a fine restaurant. Elegant business hotel in Calenzano, just 20 minutes driving from Florence center and few miles from the Airport. Rooms are decorated wit modern furniture and have all comforts. The hotel has a restaurant, a business center and a pool. Luxury hotel near Sant’Antimo Abbey, just 30 minutes driving from Siena. Set in a stunning Medieval castle restored, it offers great views over Val d’Orcia. It features luxuriously furnished rooms, a spa with thermal pools and a restaurant. Located in Florence city center, Grand Hotel Villa Medici offers superior facilities, different style rooms and a peaceful swimming pool. Set in a country villa near Lucca, the hotel has rooms and apartments. Rooms have air-conditioning, Internet connection and sat-TV. Apartments have a fully-equipped kitchenette. It offers outdoor pool and parking. This typical Tuscan villa is located in Vicchio, in the countryside near Florence, at easy distance from the main tourist detinations of Tuscany. It offers a swimming pool surrounded by a wide park, finely furnished rooms and a typical restaurant. This luxury resort is located in Mugello near Florence. It has 2 pools, wellness center, tennis court and many other facilities for its guests. This charming bed and breakfast near Bibbona is located within 15 minutes driving from the seaside. It offers comfortable rooms with lovely views over the countryside. Family-run hotel in the center of Greve in Chianti with large swimming pool. The warm and friendly staff and the comfortable and fully equipped rooms make Albergo del Chianti a nice accommodation for your holidays. Set in 18th century villa surrounded by a large park, Hotel Villa Aurea is a luxury accommodation near Cortona.It offers a relaxing wellness center equipped with modern facilities. Beautiful relais set in ancient country house on a hilltop 3 miles from the center of Gaiole in Chianti. It offers breathtaking views over the Chianti region. It has a panoramic outdoor pool. Rooms are tastefully furnished and equipped with all comforts. Elegant resort located on the hills of Florence it offers beautiful views over the city, free parking and a nice outdoor pool with jacuzzi. Suites are comfortable and have free Wi-Fi and air-conditioning. This large international 4 stars hotel is located near Florence airport and close by the A1 motorway. It offers business services. Located just few steps from the sea and main promenade in Forte dei Marmi, this 4 star hotel offers rooms with air-conditioning and a nice balcony. It has a large outdoor pool with jacuzzi, free parking and restaurant. Set in a beautiful medieval hamlet, Castello di Spaltenna is a luxury accommodation in Chianti. It offers fully equipped rooms, indoor and outdoor swimming pool, as well as many facilities. Luxury hotel with exceptional facilities at just 20 minutes walking from Florence city center, immersed in a huge, wide park with swimming pool and wellness center. Rooms are all elegantly decorated in classic style with vintage furniture. This elegant villa, set in the countryside near Montecatini Terme, renowned spa location in Tuscany, offers charming rooms decorated in rural style and featuring classic furniture. The breathtaking swimming pool is located on a panoramic sun terrace. Elegant country hotel in Impruneta, 8 miles from Florence city center. It is located on a hilltop inside an ancient building offering impressive views over the countryside. It has a relaxing pool. Rooms are nicely decorated. Located in the quite pine wood very close to the seaside, Logos Hotel is a 4 stars hotel in Forte dei Marmi offering a relaxing atmosphere for your holidays in Versilia Tuscany. Located few miles from San Gimignano it offers great views over the city’s towers and the surrounding countryside. It has a pool and a good restaurant. Rooms are cozy and comfortable decorated with simple furniture and warm colors. Relaxing atmosphere and warm hospitality characterized My One Hotel in Radda. Located in the heart of Chianti has swimming pools and business services. The farmhouse, immersed in the tranquility of the Tuscany countryside, enjoys an enviable panoramic position with views over Florence and Fiesole. The farm offers 5 bed and breakfast rooms furnished in typical Tuscan decor. This striking farmhouse offers typical Tuscan self catering apartments, all elegantly furnished, provided with fully equipped kitchen and air conditioning. Located a few steps from Montalcino, it's a perfect location for tasting the famous Brunello. Elegant 3 star hotel in Montecatini Terme. It is the ideal base to discover Tuscany and its beauties. It offers comfortable rooms and several facilities including outdoor pool with jacuzzi. The restaurant serves Italian food and Tuscan specialties. Beautiful hotel close the historical center of San Gimignano, with incredible view over the hamlet. It offers outdoor pool, Wifi internet connection and private parking. Stylish accommodation in Florence center. It is located near San Marco, just 10 minutes walking from the Duomo. All rooms are decorated in a contemporary style and equipped with modern comforts as free Wi-Fi connection. Located close to Santa Maria Novella Church it is within a short stroll from the Duomo and the Uffizi. This business hotel is set in a Franciscan convent, preserving charming features but offering modern amenities. It has meeting facilities and Jacuzzi. This 17th century villa is located just 2 km from Lucca city center. It offers both rooms and apartments, all tastefully furnished and equipped with major comforts. Grand Hotel Continental faces the sea and has a large swimming pool. Located in Tirrenia it is just 15 km from Pisa Leaning Tower. Il Milione is a charming farmhouse in Florence.Located within 3 km from Florence center, it offers large apartments fully equipped, as well as outdoor pool, tennis court and other facilities. This excellent and good value farmhouse offers a pleasant and relaxing stay in Montepulciano countryside, at a stone's throw from Chianciano Terme spa. The apartments are all completely equipped and overlook the gorgeous garden and the outdoor pool. This exclusive hotel is immersed in Chiusi countryside and offers wonderful views on the surrounding hills. The luxurious rooms, all finely furinshed, combined with the beautiful location and the pool will make your holiday in Tuscany memorable. This luxury hotel in the Chianti region near Poggibonsi offers elegant rooms equipped with major comforts. Set in 15th century villa it offers many facilities for its guests, such as pool, Jacuzzi and tennis court. This recently completed villa offers modern self catering apartments in Lucca, all provided with fully equipped kitchens, private garden or balcony. At guests' disposal, an outdoor swimming pool with hydromassage and free internet connection. This luxury resort offers the best comforts of 5 star hotels. Set in the historical residence of the Grand duchy of Tuscany in San Giuliano Terme, has an exclusive spa with natural thermal springs. Villa Cappuggi is a new hotel located near Pistoia surrounded by a pleasant park. It offers modern rooms, restaurant and outdoor pool. Astoria is a quiet and welcoming hotel, located in Montecatini Terme close to its Thermal Baths. It offers swimming pool, massages and other facilities for your relax. Green Park Resort is surrounded by a beautiful park and offers a relaxing atmosphere to enjoy your vacation in Versilia. It is the ideal place for a vacation of wellness. A beautiful and cozy farmhouse amidst the beautiful hills of Chianti in San Casciano in Val di Pesa with six stylish rooms with private bathrooms and all modern amenities including TV, telephone, safe deposit box and air conditioning. Nice 3 star hotel 20 minutes walking from Piazza del Campo in Siena. It has free parking, outdoor pool and friendly service. Rooms have air-conditioning, TV, mini-bar and private bathroom. Siena can be reached also by bus. Set in 18th century villa this charming hotel is located near the center of Radda in Chianti. It offers stunning views over the countryside, as well as an heated outdoor pool set in a splendid floral garden. Rooms are elegant and comfortable. Set in a ancient country house it is located few miles from the center of San Gimignano. It is surrounded by a large garden with a pool and offers great views over the countryside. Rooms are large and comfortable and have modern comforts. Set in Chianti countryside, this farmhouse offers clean and comfortable apartments. It has a Tuscan food and offers cooking lessons. Elegant hotel in Reggello, located close to Florence and Siena. It is set in a state country villa that preserves its original features as cotto floors and wood-beamed ceilings. Each rooms has its own old character and is equipped with modern comforts. Located in the countryside of Greve in Chianti, it is surrounded by olive groves and wine yards. It has comfortable rooms with air-conditioning and private bathroom. Guests can attend cooking courses and wine tastings. Located on the Versilian Riviera, this luxury hotel is set in a 20th century villa. It offers elegant rooms and many facilities such as outdoor pool, tennis court and children playground. Located near beautiful Cortona, Borgo il Melone is a charming accommodation offering both rooms and apartments, as well as jacuzzi and other facilities. It is surrounded by 3 hectare of green Tuscan countryside. Luxury 5 star hotel facing the sea in Livorno. It offers elegant rooms with the best amenities as large LCD TV. It features a pleasant outdoor pool, parking and a good in-house restaurant with view over the sea. This 3 star hotel was a farmhouse turned into a welcoming hotel accommodation located few minutes walking from Castellina. It offers outdoor pool, free Internet connection and parking. Set in a 19th century house surrounded by the countryside in Impruneta it offers nice fully equipped apartments with free Wi-Fi and private garden. It has a large and shady garden with pool. Florence is 15 minutes driving distance. This hotel is the ideal solution for enjoying the lush green landscape of Tuscany while being close the the excitement of the city center of Florence. Deluxe accommodations, with restaurant, pool & on site gym for your holidays. Palazzo Mannaioni is located in the center of Montaione, a small medieval hamlet in Tuscany.It offers large rooms and quality services. Beautiful resort set in a large estate in Barberino Val d’Elsa. It is surrounded by olive groves and wine yards and has a nice garden with pool. It offers spacious apartments with kitchenette and all comforts. All apartments are in Tuscan style. Located just 8 km from Florence city center, this nice hotel is surrounded by a large park. It has outdoor pool, large parking and panoramic terrace. Nice farmhouse in Montespertoli, 20 minutes driving from Florence. Apartments are well-equipped and have a private garden or a balcony. It has a outdoor pool and a restaurant and offers cooking courses and wine tastings. This hotel is situated in San Gimignano countryside, in a breathtaking location where guests may enjoy extraordinary, panoramic views. It offers relaxing and quiet accommodation, an outdoor swimming pool and a delicious restaurant. Nice farmhouse located in Castellina in Chianti in the heart of the Sienese Chianti. It offers cozy and colored rooms with mini bar and air-conditioning. It has a large garden, a pool and a good Tuscan restaurant. Villa La Palagina is surrounded by green hills and is located between Florence and Arezzo. It offers 2 swimming pools and private parking. Charming hotel in Castiglioncello. Located a short stroll from the seaside it offers large rooms equipped with modern comforts. It includes two pools, a nice flowered garden and a good restaurant. Set in 18th century villa, Hotel Villa Belvedere is a family-run accommodation in San Gimignano. Locates just 10 minutes walking form the center it offers the luxury of a villa and the comforts of an hotel. 3 star hotel located 5 minutes driving from Medieval San Gimignano. Surrounded by a large garden has private parking and a relaxing outdoor pool. Rooms have air-conditioning, mini-bar and sat-TV. Set near beautiful Monteriggioni in Chianti, Antico Borgo Poggiarello offers nice and comfortable apartments. It has also swimming pool, restaurant and wellness center. Recently refurbished, this nice villa is located in Chianti. It offers nice and comfortable rooms and outdoor pool. Elegant accommodation near San Gimignano with rooms and apartments and an outdoor swimming pool with a lovely view over San Gimignano. Buffet breakfast and private parking included. Originally built as a convent in 1480, the hotel, situated within the Medieval wall of Volterra, has been completely renovated in order to offer modern comforts whilst maintaining its historic charm. Tenuta di Ricavo is a charming hotel located in a medieval hamlet near Castellina in Chianti. It offers modern comforts such two outdoor pools, Internet connection and wellness center. Antica Pieve B&B is located in Tavarnelle Val di Pesa in the Chianti region. It has comfortable rooms and one apartment and an outdoor swimming pool. Charming hotel accommodation on the seafront in Forte dei Marmi. Rooms are finely furnished and decorated and have air-conditioning and free- Wi-Fi connection. The hotel has parking and a delicious restaurant. Luxury 4 star hotel in Colle Val d’Elsa near Siena and San Gimignano.It offers a wellness center with jacuzzi and Turkish bath, and a Tuscan restaurant. Rooms have free Internet and hydromassage facilities. Set in 14th century villa in Florence surroundings, this luxury hotel offers tastefully furnished rooms. It offers free shuttle bus service to and from Florence center. Located near the city of Lucca, it is surrounded by the quiet Tuscan countryside. It offers rustic rooms with cotto floors and wooden-beam ceilings and modern amenities. It features free parking and a pleasant outdoor pool. This nice accommodation is located in the relaxing countryside near Florence, that is located within driving distance.It has large rooms equipped with major comforts. The restaurant is specialized in delicious Tuscan food. The bed and breakfast is located in the enchanting hills of Chianti near Florence. Surrounded by a large well-cared garden which includes a beautiful swimming pool, the b&b offers comfortable rooms equipped with all main services. This wine resort in Chianti is located in beautiful Gaiole in Tuscany. It is set in ancient and carefully restored abbey equipped with modern comforts. Charming hotel 10 minutes walking from the center of Volterra. Located on top of a hill it is surrounded by a great landscape. It offers elegant and large rooms with modern amenities. It has 2 pools, a wellness center and an excellent restaurant. A beautiful large estate dedicating itself to the breeding and training of horses for competition also offers apartments in the Tuscany countryside between Florence and San Gimignano. Offers guests a restaurant, large pool and horseback riding lessons. This charming hotel near Castellina in Chianti is set in a 18th century villa. It offers luxury rooms, as well as many services and facilities for its guests. Offering both rooms and apartments, this nice accommodation is located on the hills of Siena in the Chianti region. Part of a winery it offers free parking, outdoor pool and pleasant views over the countryside. Located in Chianti near Siena, that is just 15 miles away, the farmhouse has both apartments and rooms. It features a large outdoor pool, free Wi-Fi, parking and a Tuscan restaurant specialized in the Sienese cuisine. Set in 13th century villa in San Casciano Val di Pesa in Chianti. Florence is 30 minutes driving. The hotel has outdoor pool, restaurant and parking. Rooms are elegantly furnished and have modern amenities. Located on a hilltop near San Gimignano it set in a Medieval castle, surrounded by a large park with pool. It offers elegant rooms with antiques and original paintings. All have views over San Gimignano. The farm produces and sells organic products. This villa is located in Impruneta near Florence within the Chianti. It offers comfortable rooms, as well as a good restaurant and outdoor jacuzzi. Located on the hills near Florence it is just 2 miles from the center of Impruneta. It offers fully equipped apartments furnished in typical Tuscan style with a private balcony or patio. Greatly located in the center of Montalcino, it offers breathtaking views over the countryside. The 3 star hotel offers large rooms in rustic Tuscan style with views over the valley or the private garden. It has a panoramic pool with sunbeds. This relais offers comfortable apartments equipped with major comforts. It organizes wine tours, weddings and events. 4 star hotel in the countryside of Lastra a Signa, just 30 minutes driving from Florence. Set in 19th century villa it is surrounded by olive groves and has two pools and a good Tuscan restaurant. Rooms are comfortable and elegant. Located in Guardistallo it is 30 minutes driving from the coast and 40 minutes driving from Etruscan Volterra. It is a former farm with mill turned into a luxury hotel with gym, tennis-court and a large pool. It has a good Tuscan restaurant. This four star hotel standing on a cliff over the sea offers 55 bedrooms situated in different stone buildings. All rooms have air conditioning, mini-bar and satellite tv. The hotel offers its guests also a restaurant, swimming pool and private beach. Luxury hotel in Castiglioncello. Located near the train station and close to the seaside it offers nice and comfortable rooms with air-conditioning and free Internet. It has private parking and a nice outdoor pool. This simply beautiful hotel is located a few km from Maremma Natural Park and offers modern, air-conditioned accommodation with in-room TV and a private beach. At guests' disposal, a marvellous wellness center with indoor and outdoor swimming pools. This elegant hotel situated a stone's throw from Capalbio old city center offers charming rooms and suites, both equipped with all comforts and furnished in classic style. An outdoor swimming pool, sauna and fitness center are at guests' disposal. Nice relais in Capannori. It has a large garden with pool, parking and a delicious Italian restaurant. Rooms are in Tuscan style and have antique furniture, mini-bar, sat TV and private bathroom. 3 star hotel in San Vincenzo on the Etruscan Coast. Located close to the beach it offers a large private pool and a private beach with umbrellas and sunbeds. Rooms are spacious and comfortable and equipped with main comforts. This vacation home situated a few km from Siena offers charming rooms furnished in typical Tuscan style, a huge outside pool overlooking panoramic views on the surrounding hills, homemade breakfast and a Tuscan restaurant also serving pizza. This camping, set in the midst of the Chianti landscape, offers air conditioned bungalows provided with kitchenette and patio for eating al fresco, several sport facilites, a restaurant and an outdoor pool. This farm house offers both rooms with private bathroom, and apartments with kitchenette. It includes outdoor pool, free parking and Tuscan restaurant as well as its own winery. It’s located near Sarteano, close to Montepulciano and Chiusi. Relais della Rovere is a restored Benedictine monastery near Colle Val d'Elsa. It offers luxury and comfortable rooms with swimming pool. Charming 4 star hotel in Forte dei Marmi. It is characterized by a relaxing atmosphere. It offers a swimming pool and a nice rooftop terrace. Rooms are nicely decorated with a floral theme and equipped with modern comforts.